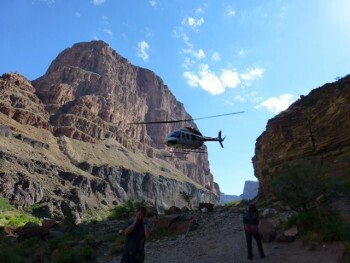 I was a bit apprehensive about the trip but that disappeared the night before at my stay at the Marble Canyon Lodge. Parking was safe across the road at the airstrip. Our guides were instantly our friends when we departed Lee's Ferry on our adventure. The Grand Canyon is beautiful as is the Colorado River. Our guides, Lucky, Mackay, R.D and Corey were phenomenal. They worked from sun-up to sun-down catering to our every need. Their knowledge of the Canyon and River as well as the history was amazing. And told with captivating stories on a regular basis. The food was five star restaurant quality expertly prepared by our guides. I am recommending this adventure to everyone I know as a "must do". We are already planning the return trip! Five Stars and more.